While walking in DC, I passed the White House. I had to have an image. No, this isn’t a political discussion. 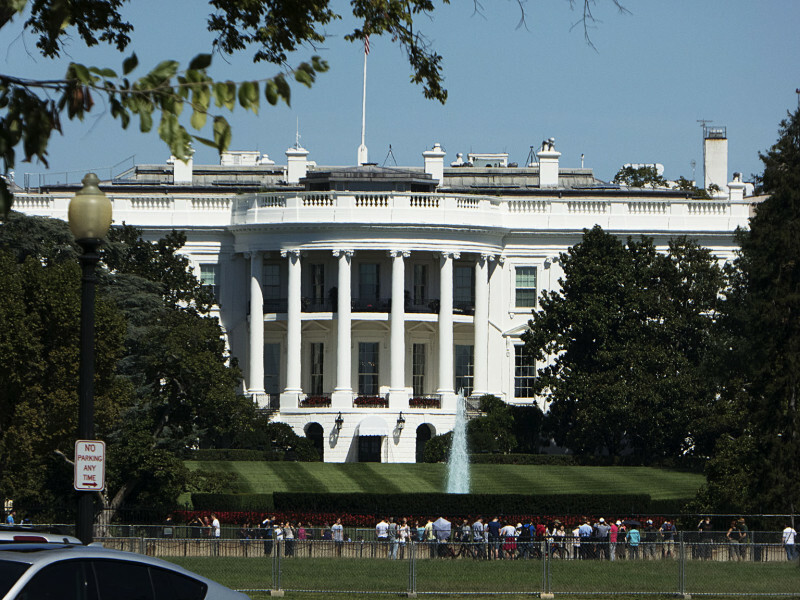 The White House serves as the home and working space for the President of the United States of America. Regardless of what I think of any sitting president, I will respect both the office and the residence. While in DC a couple of weeks ago, I had the opportunity to walk the National Mall. Both of us enjoyed that walk. We saw (and/or smelled) many things, interacted with interesting people, and I made a few images. On the way back to the hotel, we passed the White House. It being an iconic representation of my beloved country, I paused to reflect a few minutes and to make this image. After I made this image, we approached the south gate to the area around the White House. A number of Secret Service agents were working there. It’s routine guard duty, except it seems nothing is routine any more. I sat on a bench next to the fountain and watched traffic come and go for a few minutes. The Girl found a grassy spot within a few feet of the bench and stretched out to cool herself in the cool, green grass. After a few minutes, we got up and headed north along the internal circle around the White House lawn. I noticed some activity on the lawn and there was a soccer game forming up (I think). 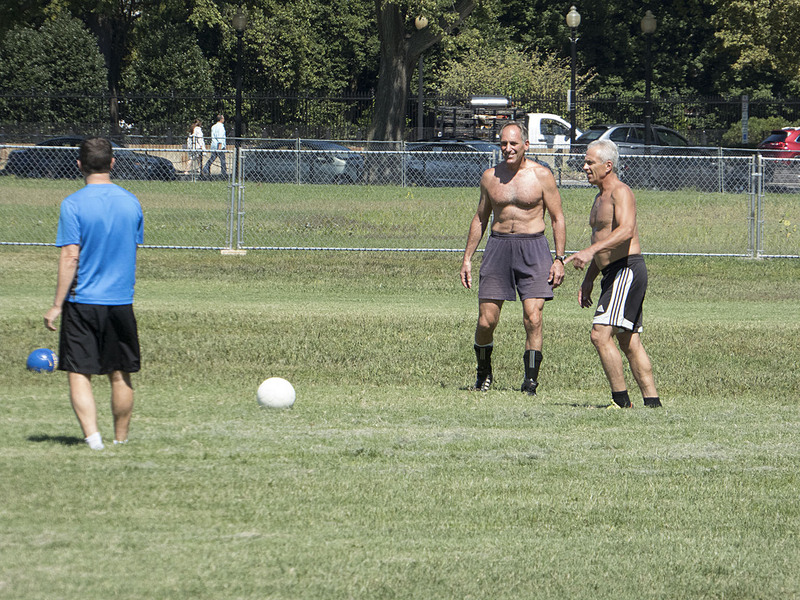 These two “older” guys were warming up, shirtless of course. Thinking of my friend in Washington (state), I made this image and laughed about old guys not always looking so bad. Old guys still have moves. As we walked along the path, one of them started stunting a bit. He was kicking the ball (pretty well, it seemed to me), then did a header, then this back kick. My timing was just a bit off on the latter, but the blue ball is still in the frame. I have no idea where the other ball came from. It appeared in my frame.